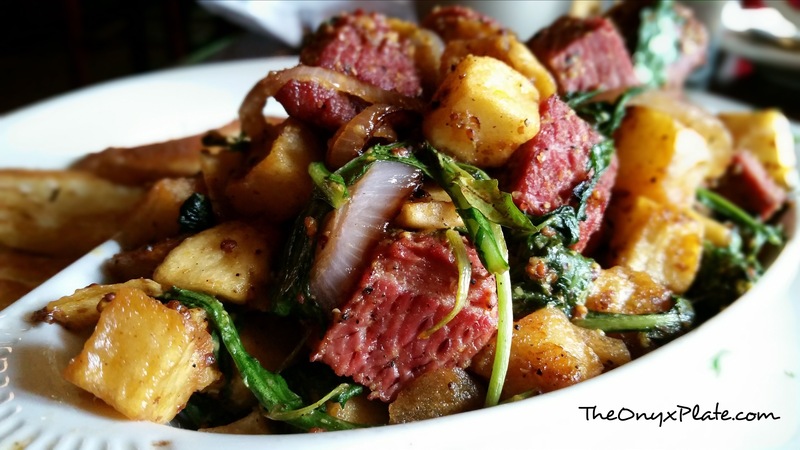 It’s not often that you can find a good corned beef hash around here that is not full of grease or fatty pieces of the meat. At least in my experience that’s been the case. Feel free to let me know if you’ve found a better one that you would recommend, though I would find it hard to believe based off this morning at Europa. It was served with a perfectly toasted English muffin (I do wish it had been local jam with the muffin instead of food service jelly, but that’s ok) and a few pieces of fruit. While the fruit quantity seemed off balance compared to the rest of the plate, the hash made up for it easily. The grain mustard mixed in was just the right touch to balance all of the other flavors of the cabbage, shallots, garlic, and white wine. I could easily see coming back here for a Sunday tradition. Just pure deliciousness and a must try. Next Post Gruyere Butternut Soup? Yes, please!